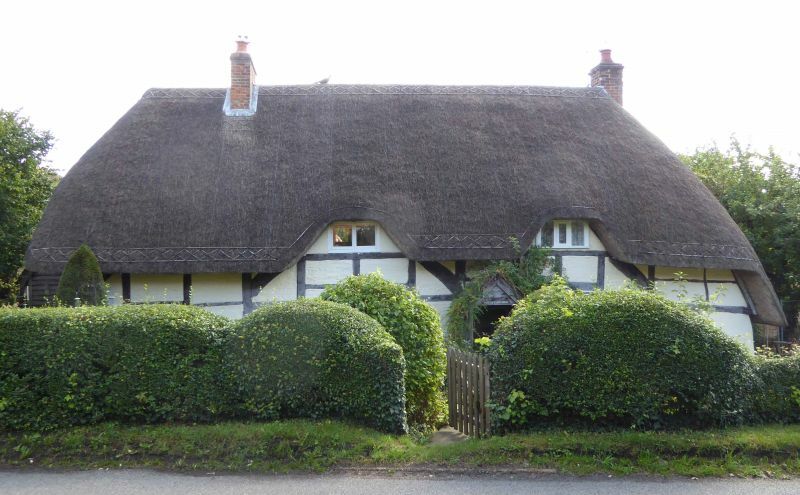 plaster infill, thatched roof. 1½ storey, 3 bay with C18 outshot to right. bay C18 3-light leaded casement and small 2-light fireplace light at left.